Water Damage Dobbs Ferry NY Specialists, fast service! Water damage is far too common in areas of the country with lots of surrounding water and once water is able to penetrate important structures in your home various losses can occur that require restoration and repairs, so before invading water destroys your property’s foundation and value pick up the phone and call our water damage Westchester team at 911 Restoration Westchester. Our water damage Dobbs Ferry team responds fast, within 45 minutes, to all of the above issues because we truly care about our customers and their health and want to ensure that mold doesn’t grow in the first place. In fact, all of our licensed, insured and bonded equip themselves with only the latest and greatest new moisture removal technology on the market to make sure that mold spores don’t stand a chance in your home. 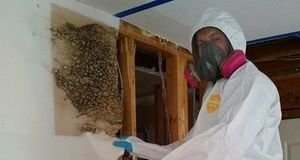 Don’t let mold destroy your Dobbs Ferry area home, call our water damage Dobbs Ferry experts today for fast, professional mold remediation service! Due to the fact that untreated water damage causes mold spores to grow given enough time and the right environment, our water damage Dobbs Ferry technicians stress the importance of responding to water emergencies fast and with decisive action. Water damage can affect your home in ways that are sometimes hard to see by the untrained eye, and if the damage is not dealt with in a professional manner you could be putting your home’s stability and even your family’s health at risk. 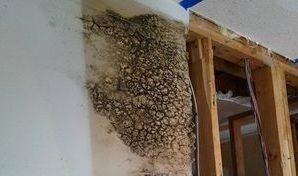 That is because mold growth can cause health concerns like asthma and allergies. Certain types of water damage such as a black water problem from a toilet overflowing can introduce bacteria infested sewage and into your bathroom. Never try to take care of mold, grey water or black water yourself. Instead, call a water damage Dobbs Ferry specialist with 35 years of experience in mold removal to take care of the problem for you. We’re available 24/7/365 to work on fixing any leaks or fungal infestations, so don’t wait and call our water damage Dobbs Ferry team right away! All of our water damage Dobbs Ferry professionals stress the importance of quick, decisive action to all water emergencies, making 911 Restoration Westchester the absolute best choice for water damage restoration services in Dobbs Ferry. We are truly the fastest in the industry, always responding in 45 minutes or less. And we’re the most experienced, with 35 years of years of experience eliminating water damage and mold under our belts. When you live in a city like Dobbs Ferry, water damage can come from anywhere, even the Hudson River. At 911 Restoration, we won’t let invading water take a hold of your life. You can also count on our IICRC certified technicians to assist you in filing your insurance claims with your insurance company so that you can get the most affordable prices for the services your property needs. When it comes to water removal you need the best company by your side and that’s 911 Restoration, so pick up the phone and call our water damage Dobbs Ferry team now!